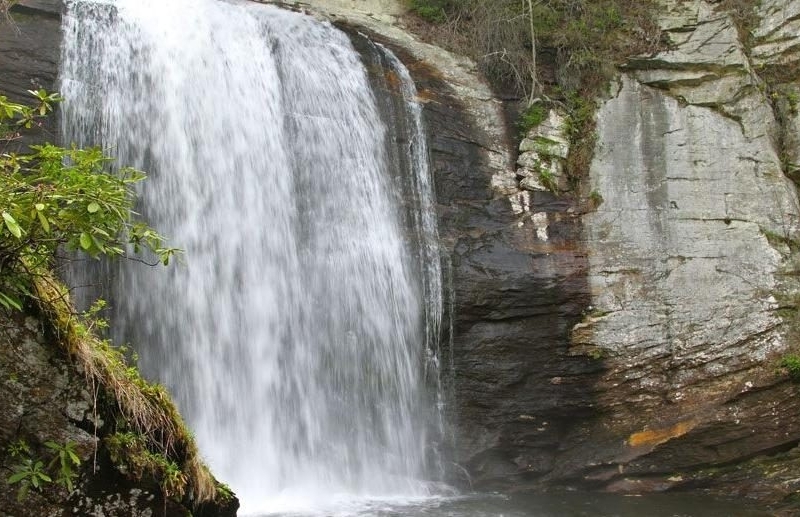 The falls are open to the public and are accessible on the side of U.S. Highway 276, approximately 5.6 miles north of the intersection of 276, U.S. Highway 64, and NC Highway 280 in Pisgah Forest, North Carolina. It is an extremely popular waterfall, due to ease of access to the falls directly on the side of the road. There is a path that leads to the plunge pool. During the winter when the falls freeze solid, they are popular Ice Climbing destination. According to local Emergency Services personnel, there have been many injuries and deaths at the falls, mainly due to individuals who rock climb near the edge of the falls and accidentally fall in the plunge pool, or persons who jump in the plunge pool.Persons who visit Looking Glass Falls should take care to respect both basic safety rules and the fragile environment that exist at the falls.